Seafood at 8:00 in the morning? Why not? 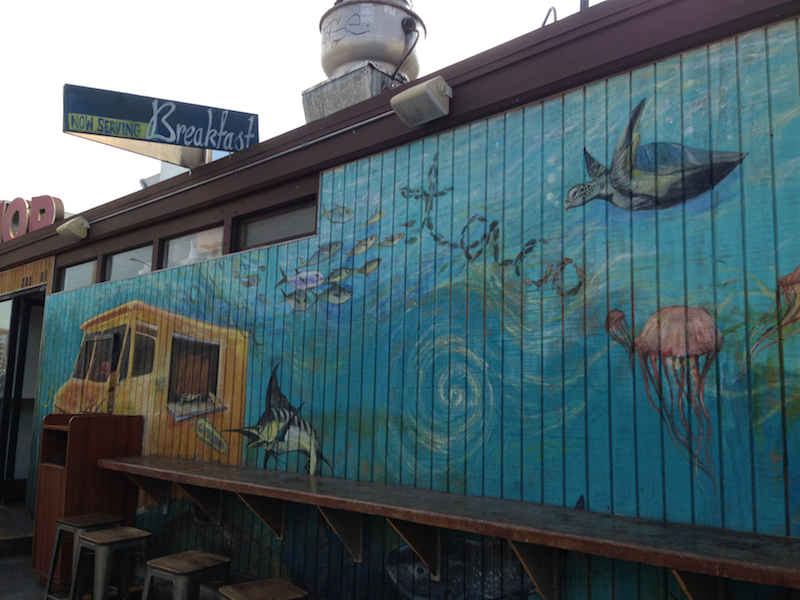 Read my full review with pictures of Oscar's Mexican Seafood in San Diego's Pacific Beach after the jump. During our trip to San Diego last month (read my other San Diego food reviews here), my daughter and I started our second full day with a quick trip for a coffee and then it was off to nearby Oscar's Mexican Seafood in the Pacific Beach neighborhood just north of where we were staying in downtown San Diego. I read about Oscar's on World Food Cruiser, although I went to the location on Turquoise Street in Pacific Beach. There's a few seats inside, and counters outside so you can enjoy the beach weather while you eat. Oscar's serves shrimp, fish tacos, tortas, cerviche, and fish stews. Everything is served fresh and made to order. My daughter ordered the fish taco. 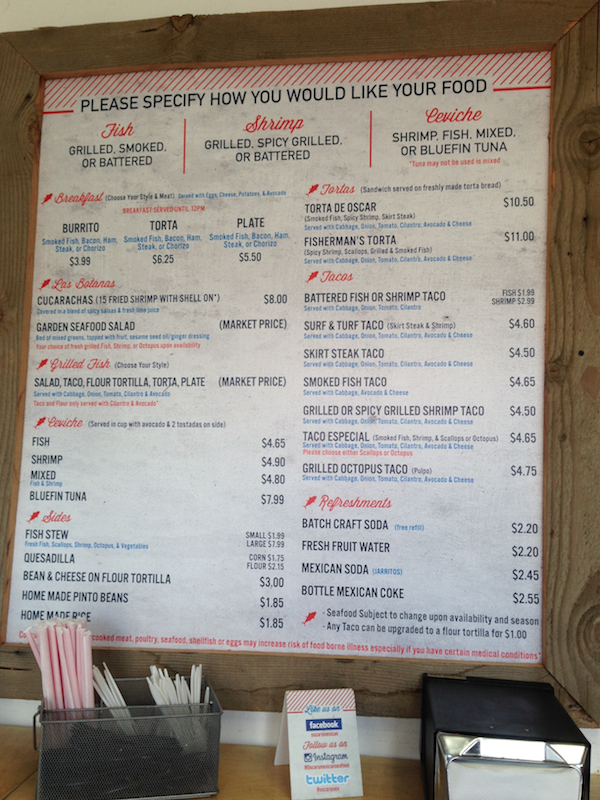 It's a little more expensive than the 99 cent fish taco at TJ Oyster Bar, but it's also bigger with more fish. Oscar's has a fridge full of sauces you can bring to your table and add to your food: red hot chili, green chile, and thousand island. It was delicious! I had the Torta de Oscar: spicy shrimp, smoked fish, and skirt steak stuffed into a fresh sandwich bun. Usually I am disappointed with tortas because either the bun is too soft and falls apart under the sauce, or it's too hard and makes the sandwich hard to eat. 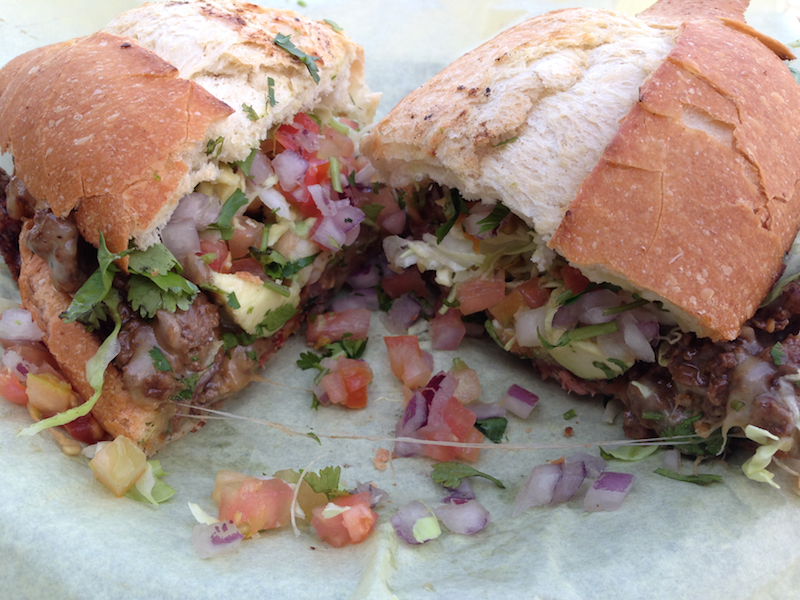 But the bun on the Torta de Oscar was just right, and I found out why: Oscar's makes their own birotes. Overall, the ingredients were fresh and delicious. Oscar's also serves a breakfast torta which is just steak. TIP: It's cash only at Oscar's. And Oscar's opens early so you can grab a breakfast torta before heading to the beach. 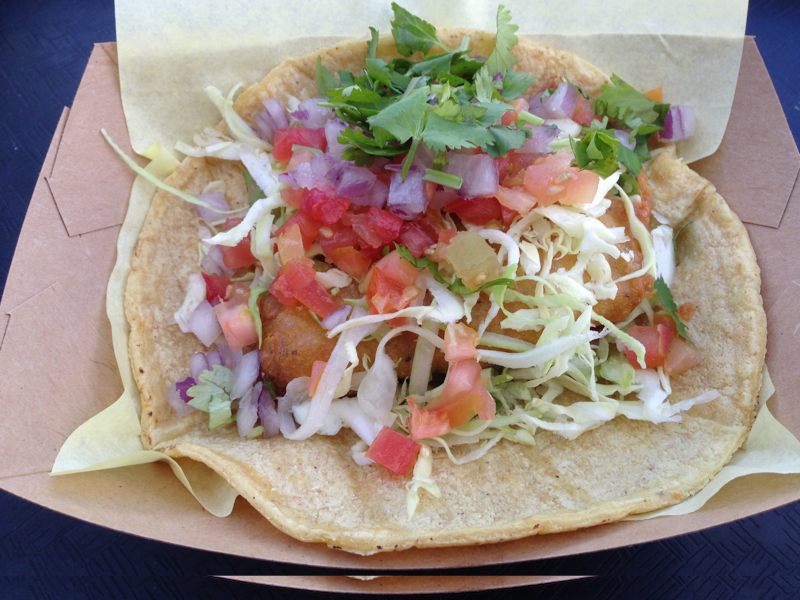 STEVE SAYS: Check out Oscar's Mexican Seafood for made-to-order delicious tortas, and one of the best fish tacos in San Diego.